This past week I started playing a new game. 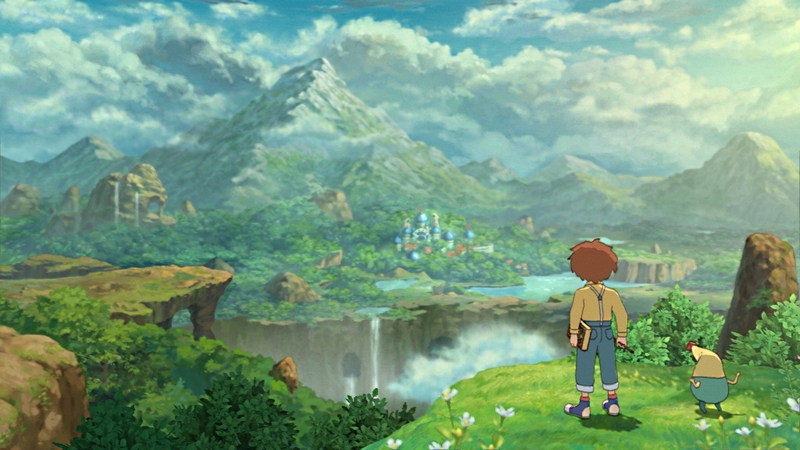 That new game is called Ni No Kuni, a JRPG for the PS3. It's made by Level-5 and Studio Ghibli and published by Namco Bandai. It's basically like playing through a Studio Ghibli movie. So in other words, it's awesome. 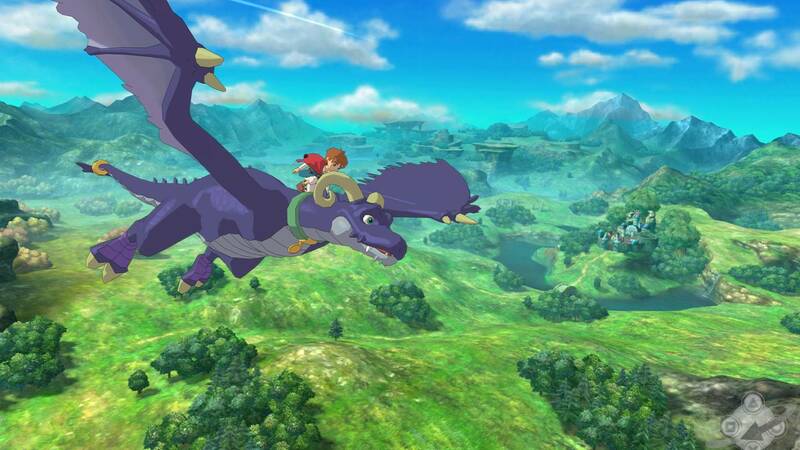 It's jam packed with whimsy, charm, and nostalgia for what JRPGs used to be all about. 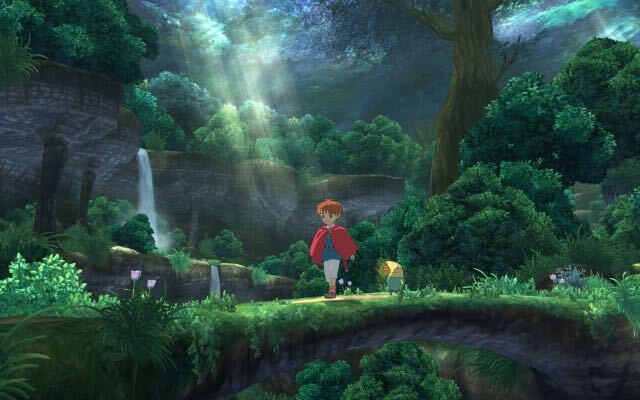 Some games (cough Final Fantasy cough) have started to move towards style over substance, but Ni No Kuni gives hope for games that are still very substance driven – like JRPGs were back in the good ol' days. 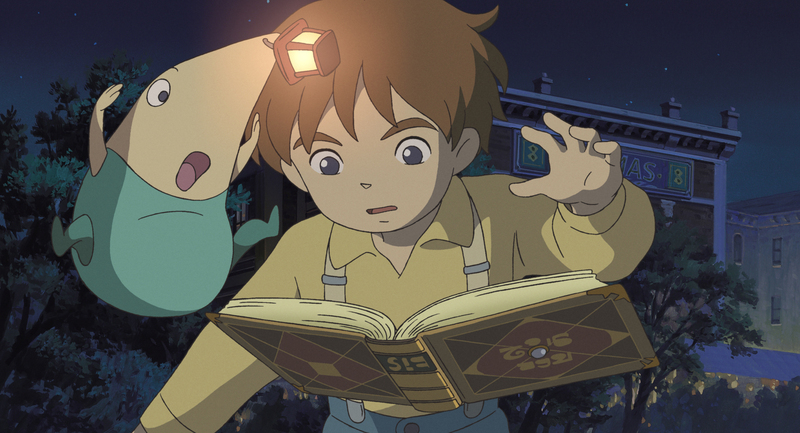 So what makes Ni No Kuni so great, other than the fact that you can actually somewhat study Japanese with it (gasp!)? 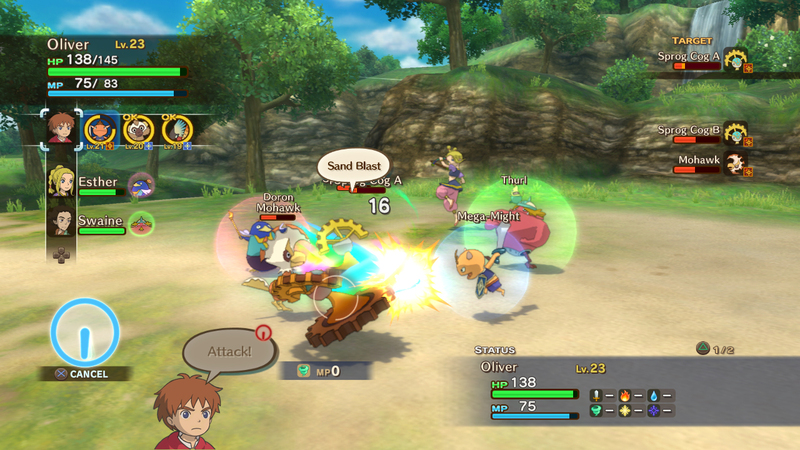 Ni No Kuni is a very traditional style RPG. You play as Oliver, a little kid from Motortown. Through a series of events, you find yourself partying up with a fairy known as Mr. Drippy and traveling to a parallel universe to save souls and subsequently, the world. The world is filled with amusing creatures and monsters, fairies, and talking cats. It doesn't get much better than that. Like most JRPGs, you have HP, MP, and lots of experience to gain and equipment to equip. You recruit party members and familiars to help you in battle, help townspeople out with odd jobs to advance the story, and fight monsters to advance your levels. If you've played an RPG before, you'll know what to expect here. You travel around towns, an overworld map, dungeons, and locales. For those of you totally unfamiliar with the game, here's a review that does a good job letting you know what the game is all about. But playing a game like this, a game that feels more like a classic RPG than a modern innovation, there's absolutely nothing wrong with that. This is a JRPG done right. Everything is absolutely top notch. It might not be incredibly innovative or fresh, but everything that is done here is done very well and the game shines as a result. I believe Studio Ghibli's influence on this is immediately clear as well. The animation and visuals are strikingly beautiful. Not only do you feel like you're playing through an anime, you feel like you're playing through a Studio Ghibli film. What could be better than that? The soundtrack is no slouch either. All the music is very whimsical and fits in just great with the rest of the game. It was composed by the esteemd Joe Hisaishi and performed by the Tokyo Philharmonic Orchestra. Another great thing is that the game actually lets you have the original Japanese audio track as an option. I've heard great things about the English dub, but being able to play through with the original Japanese voices is a real treat. The battle system is really fun, but it takes some time to really get rolling. In the beginning you just have Oliver and one familiar to control. It works, but it's not exactly exciting. Eventually you recruit other party members and gain access to more familiars. This is when things really start to open up. Since the game includes the original Japanese language track, you can use that for your Japanese studies, depending on your level of Japanese. Also, Mr. Drippy (the little fairy that follows you around) speaks in Kansai dialect, so that's just fantastic. Anyway, one issue is that the English subtitles (which can't be turned off, unfortunately) are not direct translations of the Japanese audio. This can be kind of goofy (or fun) when you're playing along listening to the Japanese and reading the English and realizing that they don't really match up. It's kind of entertaining to pick these out and think about how you might have translated them in your head as you're playing along, assuming you don't get too distracted from the game itself, of course. Another unfortunate thing is that there's no Japanese language subtitle option, but I think that having the Japanese audio track alone is impressive enough. All of the latest Tales games (also produced by Namco Bandai) don't include the Japaenese audio track, so I always appreciate it when games like Ni No Kuni at least give you the option. Granted, there are much better ways to study Japanese, but it's nice that the game at least includes the Japanese audio. It's better than nothing, you know? 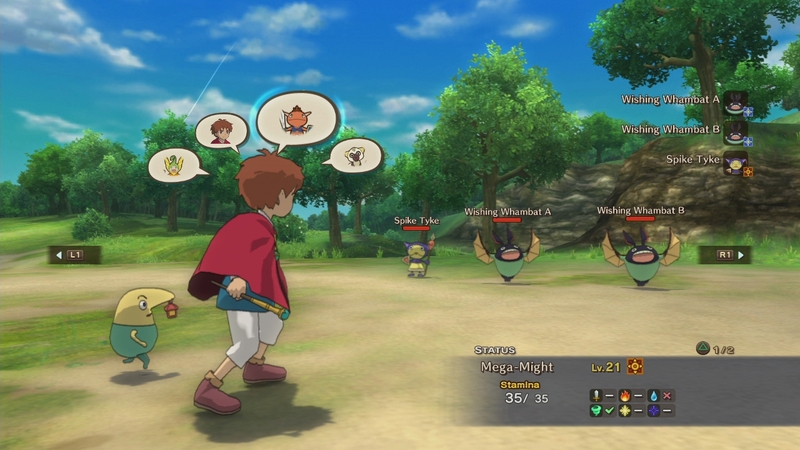 These days I feel like we're seeing less and less Japanese games like Ni No Kuni. Maybe that's what makes them stand out so much more, but I really really enjoy them and I am always very excited when they make it over to America, eventually. Do I think that JRPGs will ever make a full return to games like this? Probably not. But it's nice to know that people are still making games like these and when they do come out, they are very well received. That being said, I'm guessing that we'll see games like this one every once in a while, but sadly I doubt that we'll ever see a true return to the golden age of JRPGs. But who knows? Maybe the next gen systems will surprise all of us and be jam packed with traditional JRPGs. Haha, I wish. 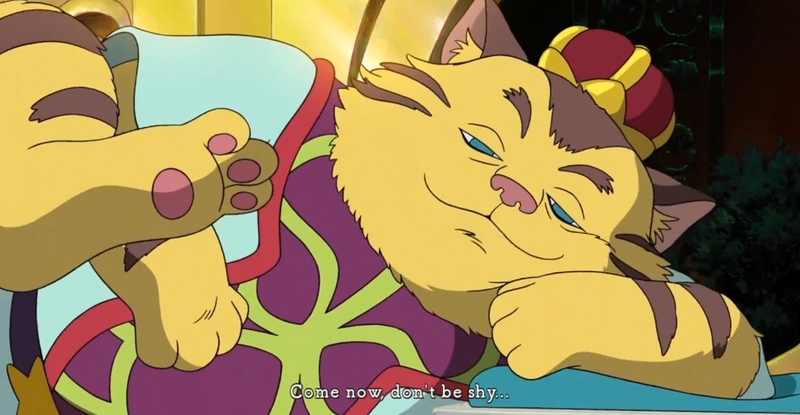 Anyway, I give Ni No Kuni a hearty recommendation. If I had to put a number on it, I'd give it a 9/10 just for the relatively slow start with the battle system. It's right up there with the brilliant Tales titles I've played this generation. 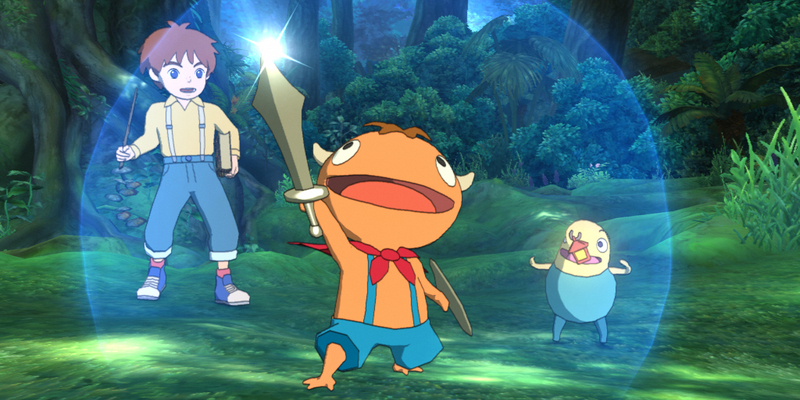 So have any of you played Ni No Kuni? What do you think about the future of traditional style JRPGs? Do you think they'll still be around for many years to come or do you think the influence of franchises like Final Fantasy will push them all towards "modernization"? Share your thoughts on Twitter! 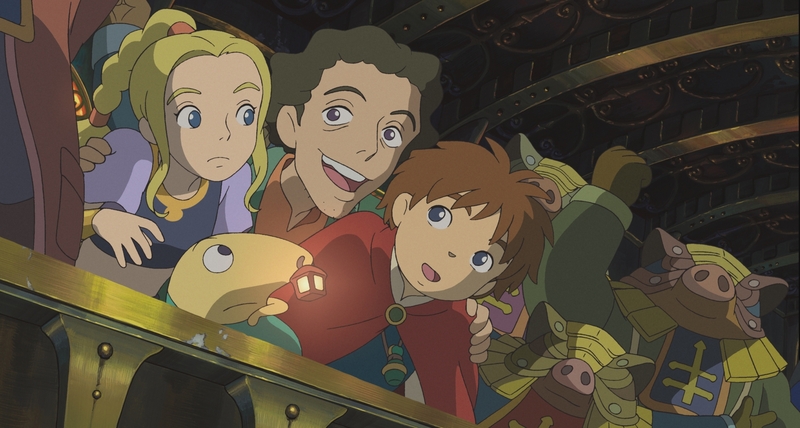 Ni no Kuni is a fantastic game, not simply because the mechanics, music, and storytelling are above and beyond what typical JRPGs have been doing, but because it’s just a gentle boost to your Japanese skills. I definitely recommend at least switching your audio over to Japanese so you can compare the original to the localization. Jam packed with whimsy, charm, and nostalgia for what JRPGs used to be all about. Good game resource to use for studying Japanese. Relatively slow start, but it picks up.